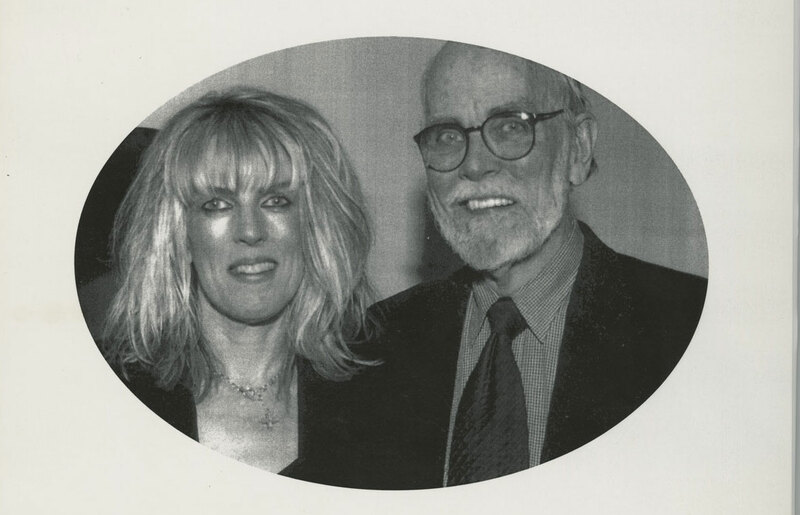 Miller Williams (1930–2015) wrote, edited, or translated more than 30 books and is best remembered for writing poetry in plainspoken language that captured meaning in everyday experiences. 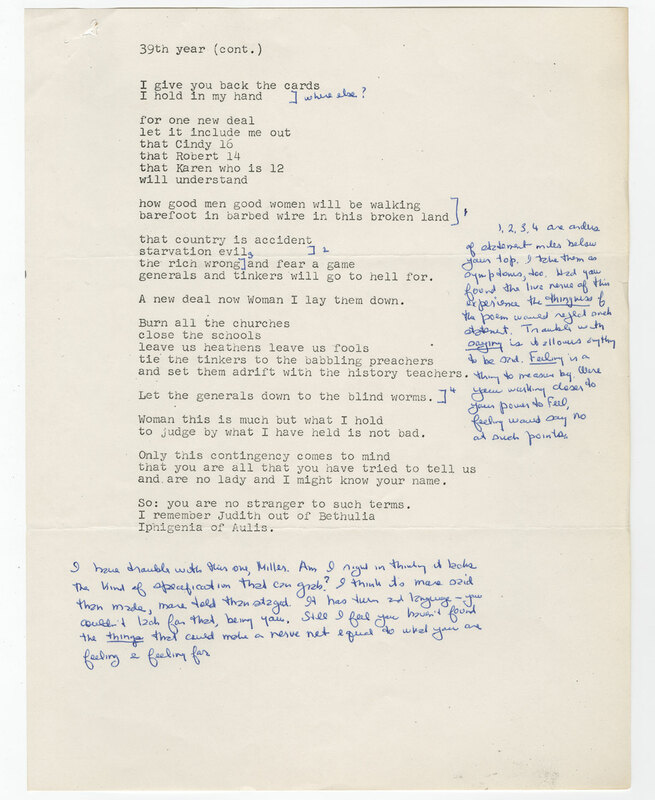 The Ransom Center recently acquired his archive, which documents the career and writings of this influential American poet. In college, Williams took an aptitude test that revealed, as he once noted, that he had “absolutely no aptitude in the handling of words,” so he switched his major from English to Biology and later received a master’s degree in Zoology. Yet his interest in writing and literature never waned.Williams worked a number of odd jobs and taught college-level Biology before securing a position in the English department at Louisiana State University on the recommendation of his friend Flannery O’Connor. This position launched a long and impressive career in academia and publishing. Williams later taught at Loyola University, where he founded the New Orleans Review, and at the University of Arkansas, where he taught for more than three decades and founded and served as director of the University of Arkansas Press. 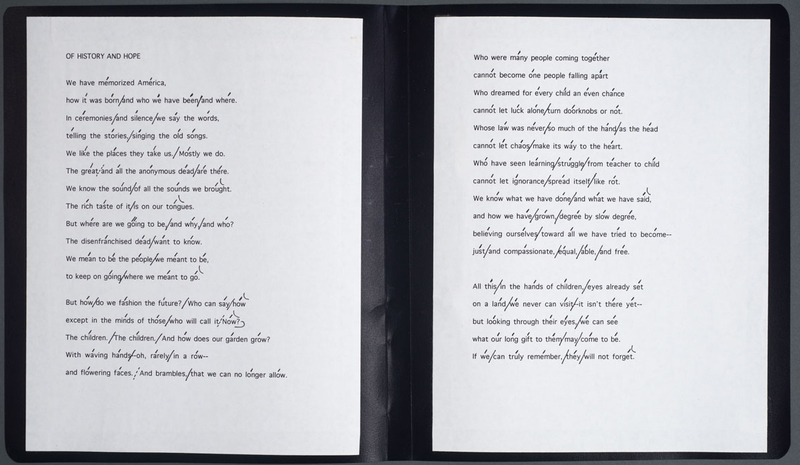 Miller Williams’s reading copy of his poem “Of History and Hope,” read at the second inauguration of President Bill Clinton on January 20, 1997. Williams offered careful feedback and advice for many writers. 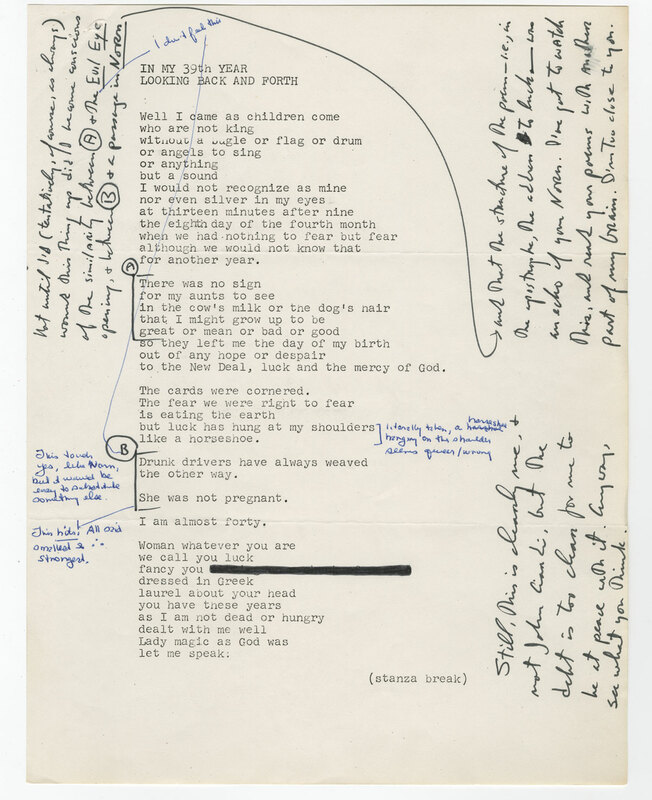 He traded poems with friend and fellow poet John Ciardi, and many of their marked-up drafts of each other’s writings can be found in the archive. 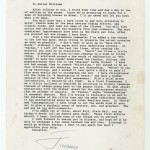 In one letter, Ciardi writes with gratitude, “Do you know, sir, that you really are a damned good critic?” Williams’s archive is filled with correspondence from Ciardi and other prominent literary figures, including Collins, Charles Bukowski, Robert Lowell, Flannery O’Connor, Richard Yates, and many others. 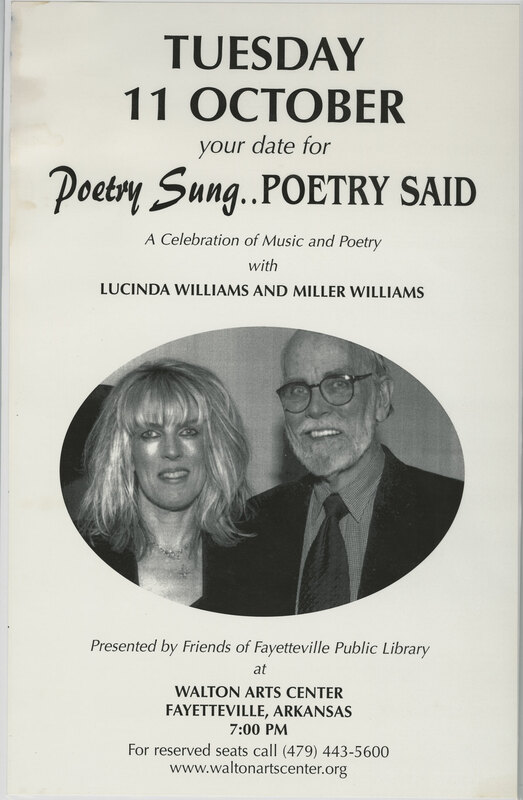 Williams worked closely with former president Jimmy Carter on Carter’s 1995 book Always a Reckoning and Other Poems. 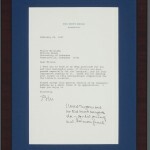 In a June 15, 1991, letter, which Carter sent with a revised draft of his poems, the former president writes: “You will note that I have tried to pay more attention to meter, remove some of the more obvious riming efforts, use clearer words, and take out some of the clichés. 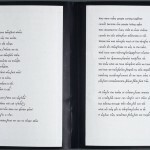 You will also notice how obvious are the benefits from your comments.” The archive includes thick files of correspondence and drafts related to the book. 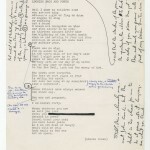 In his 2006 book Making a Poem: Some Thoughts about Poetry and the People Who Write It, Miller Williams notes that a poem “must have the power to make us respond, to make us more alive.” This sentiment connecting poetry to life resonates throughout his work and his archive—in the many files and drafts of his own writings and in the work he did to publish, translate, share, and bring life to the works of others. 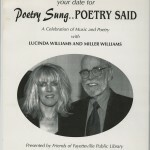 A poster for “Poetry Sung… Poetry Said: A Celebration of Music and Poetry with Lucinda Williams and Miller Williams”. 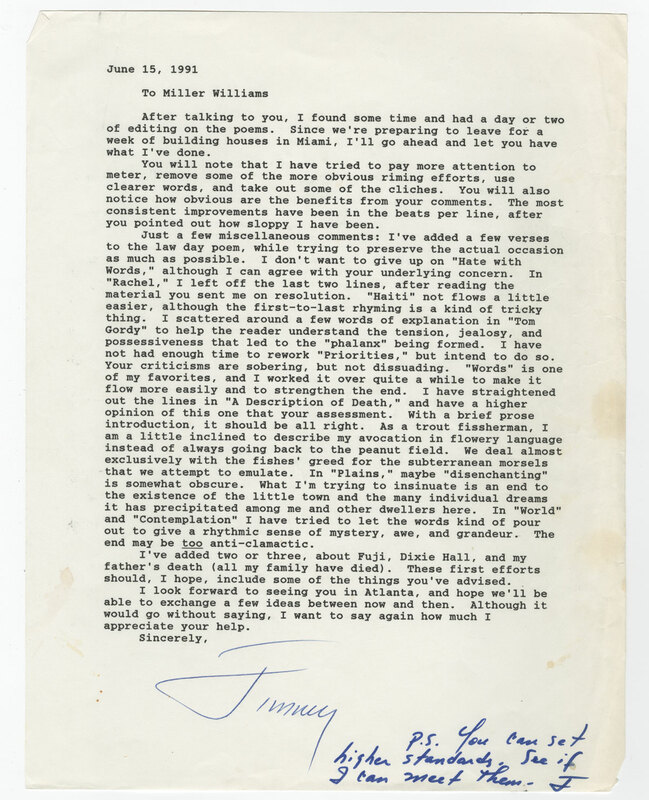 A letter from former President Jimmy Carter to Miller Williams, dated June 15, 1991. 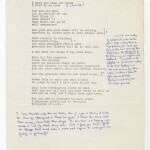 A draft of Miller Williams’s poem “In My 39th Year Looking Back and Forth” corrected by both Williams and John Ciardi. 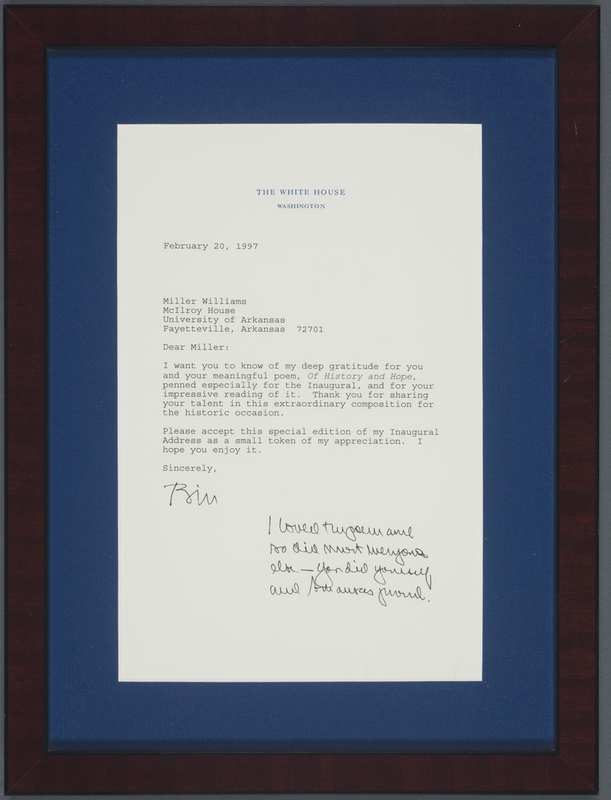 A framed letter from President Bill Clinton to Miller Williams, dated February 20, 1997.